You have reached the Andes website. If you want to navigate around the site and see more great pictures of the Andes we recommend you go first to the index page for this website. Siula Grande from the northeast. We can organise guided treks to the foot of Siula Grande. 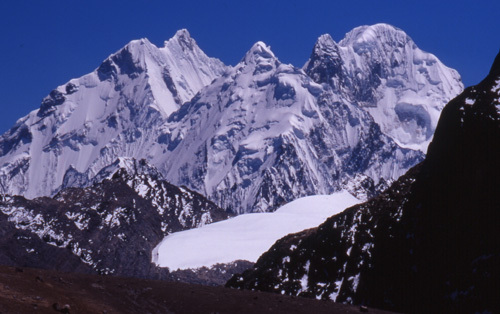 For details of how to climb Siula and neighbouring (mostly easier!! ) 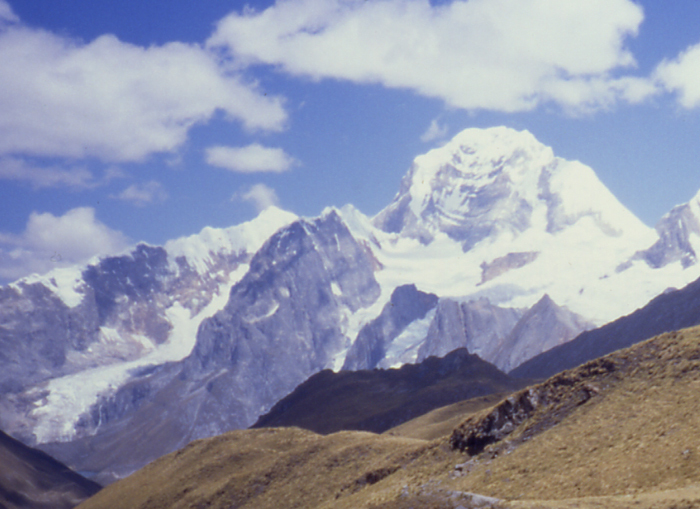 peaks in the Cordillera Huayhuash please see our guidebook available in English, Spanish, Polish and French editions. Siula Grande is in fact featured on the cover of the third edition of 'The Andes - A Guide for Climbers. This guidebook is now available in good outdoor shops and bookshops or directly from us - click here for more details. 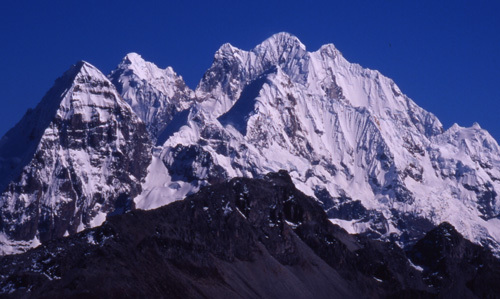 The high peaks of the Huayhuash including Yerupaja and Siula Grande from Leon in the Cordillera Raura.